I know that a lot of people are saying that wearing too much black can wear you down, but the allure of the hue is so strong, sometimes an Erzulliesta cannot resist. So how do you make it fiercer? Put on a colorful coat and accessories! 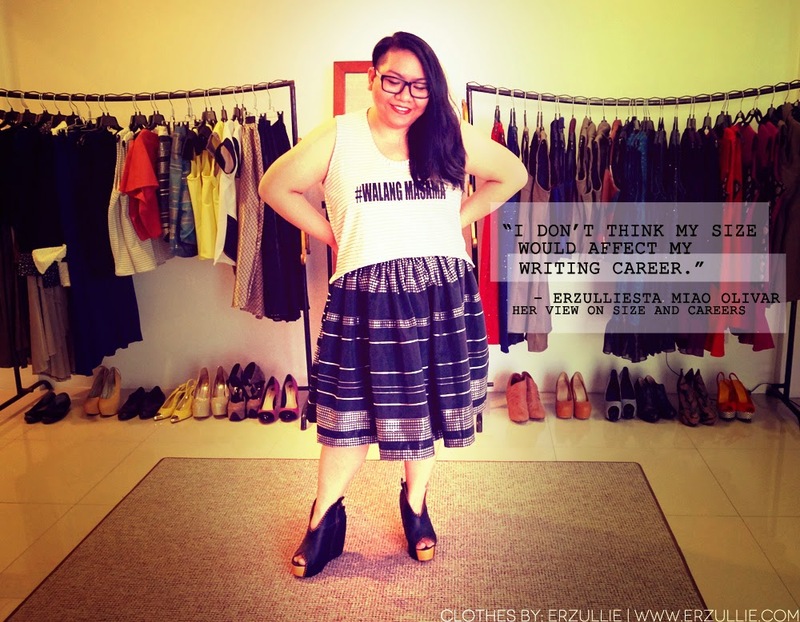 One of the reigning stigma about plus size women is that they are chosen last in any career path that they choose. But looking at Erzulliseta Miao Olivar, a 31 year-old editor-in-chief of Amplify.ph and independent singer-songwriter under the name “A Problem Like Maria”, we all know that maybe the stigma is just a myth after all. Check out her interview about how, in the end, your employers remember your skills more than your size. #1 Can you tell us more about your occupation? I manage news, features, content creation and publication for Amplify.ph. I get to discover and then tell people about the best of what the local music scene has to offer, every single day. I'm also an independent musician; I sing and write melodies and lyrics, and often collaborate with producers to create songs. Amplify.ph set a meeting with me initially to talk about putting my music as A Problem Like Maria on the site; sometime during the discussion they mentioned that they were looking for writers. I must have sent in my CV along with the Amplify.ph artist contract! When I went to the job interview, I was overdressed and very nervous, and I was applying for the wrong position. Can't remember how it happened, but I thought I was applying to be a freelance contributor. It's a good thing I managed to impress them enough for them to hire me to be their Editor-in-Chief! Haha. As for music, it's always been there. I've been writing songs even since I can remember. When I was younger I made music under a different artist name, but a creative block caused me to not make music for over seven years--not until the Elements music camp in 2010. Shortly after that, I started releasing music as A Problem Like Maria. #2 Do you think that your size has something to do with your current career situation? These jobs are not about finding something that I've always wanted to do; rather, it's about finding something that fits me perfectly. I am passionate about: music, writing, and helping people. It gives my songwriting enough breathing room to coexist with my career, and it's an avenue through which I can do what I do best and give back to the local music scene at the same time. I don't think my size affects my writing career. If I were to pursue singing as a career, I can see how being plus-sized may affect that; but I plan to stay independent, so that's really not something I have to think about. #3 Do you think that style should determine the career or the other way around? Work puts food on the table, so I don't mind following a dress code. If I accept a job, I accept everything that comes with it. Having said that, I'm lucky enough to work at an office where what I wear doesn't really matter. For me, it’s all about no muss, no fuss; but I like to highlight the "fun" in functionality every now and then. I gravitate towards the simple, casual--and frankly, college-age--because it's the equivalent of a tangible comfort zone for me. Subconsciously, the whole point of my wardrobe is for me to be able to blend in and disappear into a crowd if I want to, because sometimes I just don't want to deal with the attention--negative or positive. Making the decision to be fashionable and wear something that makes me stand out is fierce in itself. That's me telling the whole world that I'm not afraid to be noticed. 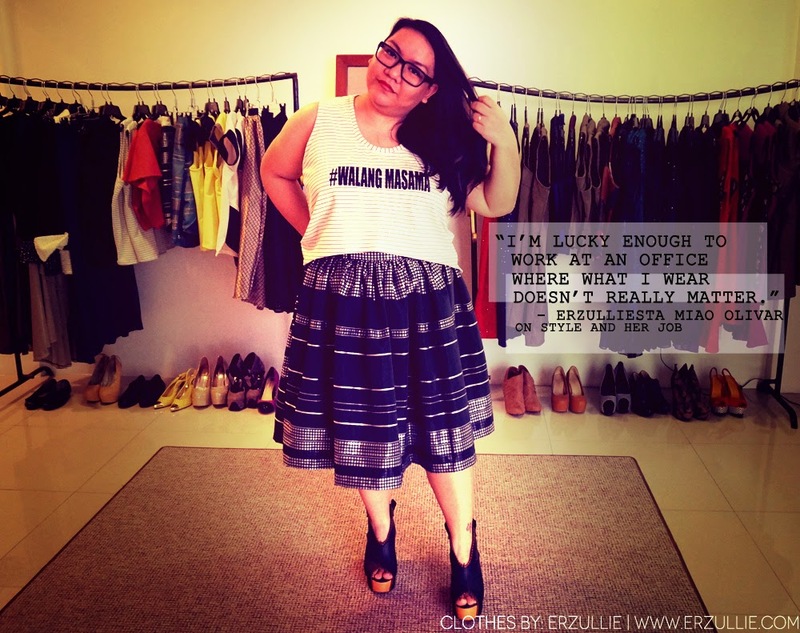 #4 Any advice you want to give to other fierce plus size women on finding their own bliss at work? 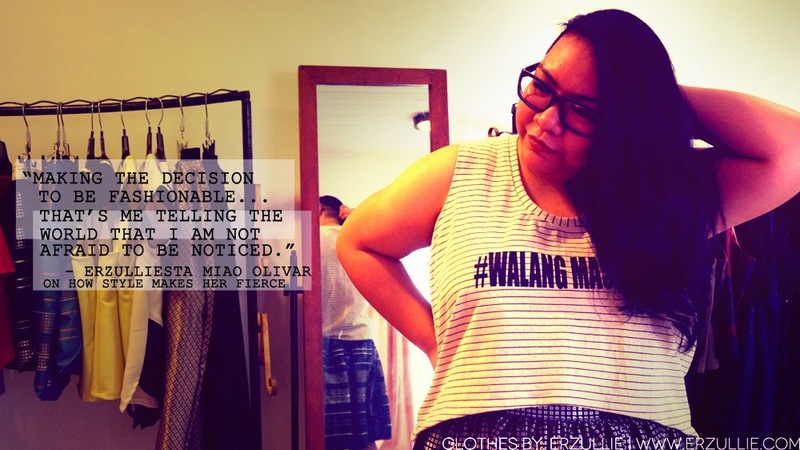 Every plus-sized woman should be fierce. We need to be, in order to survive in this world that would have us believe that we are inferior; and most of us already are, even if we don't know it. What makes me fierce is my enthusiasm and desire to live a full life. Too many of us overthink and second guess ourselves way too often. If you can't look at yourself in the mirror and think, "Wow, I look good!" how can you expect people to think, "Wow, what a woman!" when you walk into a room? And let's be honest; even if you don't expect people to think that, wouldn't it be awesome if they did?